Can I Change A Beat After I Buy It? Yes! You can cut up, loop, speed up or slow down, add vocals or extra instruments, and change up the beat as much as you want as long as you still give full production credit to the original producer: Pro Rap Beats. The easiest way to do this is to buy a tracked out license, so that you can add or remove instruments as you like. What If Two People Buy The Same Beat? If two different people buy the same beat, they may each copyright their own song they make with that beat, and then sell, distribute, perform or broadcast that song. Both of them keep 100% of the royalties that result from their song.When you buy a rap beat from Pro Rap Beats, the copyright for that beat alone still belongs to Pro Rap Beats. However, the copyright for the song that you make with that beat (your lyrics combined with that beat), belongs to you. Finally, with the rights granted to you by the Pro Rap Beats license agreement, you are allowed to sell, distribute, perform and broadcast (TV, radio, Internet) that song. You keep 100% of the royalties! How Do I Give Producer Credit? Yes! Send us a message via Email or Facebook. More info coming soon. What Does 'Tracked Out' Mean? Tracked out means you will receive the building blocks of the beat (drums, melody, effects, etc.) in multiple high quality WAV files. This means that you can mix, add to, and edit the beat any way you’d like, including adding new audio. If you have questions about how a specific beat is tracked out, contact us! 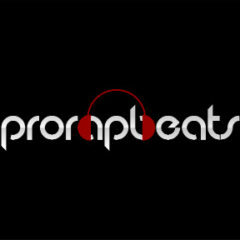 Why is Pro Rap Beats the best place to buy rap instrumentals online? We founded Pro Rap Beats to give musicians the tools & knowledge to make professional-caliber music, without having $1,000's of dollars of equipment. As more and more independent artists are looking to catch their first break, many other beat sites on the Internet cut corners to boost their profits. From the beginning, we’ve worked to make this site the best place to find rap instrumentals, starting with the quality and the price of our beats, and providing great customer support throughout. Other sites restrict how many times you can sell a song. Ever see something like “sell up to 500 copies of your song”, or “up to 3 plays on the radio”? Look around! Most of the other beat sites on the web have restrictions like this. We want our artists to be as successful as possible, and place no limits on the number of purchases, radio plays, or earnings that our artists receive when they use our tracks. Once you buy an instrumental from us, you can become the next Jay Z and you won’t owe us another penny. Other beat sites are more expensive. Most of the other popular sites that sell beats around the web charge more than $30 for their cheapest license. Our personal license is just $14.99, so that you can buy several instrumentals for the price of one, test them out, and find the one that perfectly compliments your track. We don’t think that making music should be expensive, and we’ve worked to take all of the guesswork out of the process for you. Simply add a beat to your cart, choose your license, and pay via PayPal. It’s that easy! We’re musicians first & foremost, and rap producers second. These days, everyone and their mother wants to be a rap producer. We know tons of people who have purchased an expensive digital audio workstation (what is a digital audio workstation? 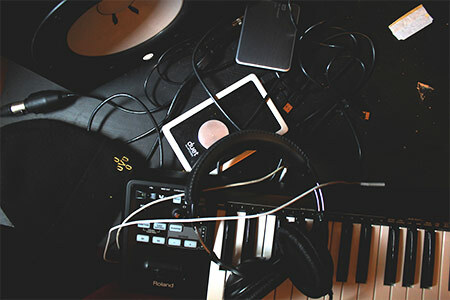 ), through a drum track into GarageBand, and called themselves producers. If you want to sound like a professional, you need professional equipment, lots of experience with different style of music, and thousands of hours clocked on a MIDI controller. Over the years, we've played and produced music professionally in many different genres, including hip-hop, funk, & rock, with lots of experimentation in between. We believe that the best-sounding beats come from producers with a long background in music, not just rap. We use premium equipment, including the industry-leading DAWs, MIDI controllers, live instruments, virtual instruments, record samples, and everything in between. If you’re looking for the best, you’ve come to the right spot. We help artists sound their best. We work with artists from around the world in all stages of the hip hop process. Maybe you've got a verse in your head, and you're looking for the perfect instrumental to back it. Maybe you're starting a fresh hip hop track, but you've been inspired by another artist and are looking for a particular sound. Maybe you have writers’ block and can’t seem to put pen to paper, and are looking for inspiration. Whatever situation you’re in, we’ve got your back! All of the hip-hop instrumentals on our site are completely original, and give artists the unique flavor that they need to stand out from the crowd. We pour all of our energy into our beats, and are 100% devoted to our artists. Our beats are original. Other sites that sell rap beats copy famous melodies, drum patterns, drum kits, or styles. Just search for “Eminem Style Beat”, “Drake inspired beat”, etc. on YouTube and you’ll see what we mean. We build everything from scratch, just like Just Blaze, 9th Wonder, and Scott Storch. We use live instruments, virtual instruments, and samples from vinyl records to create our beats, which give them a truly unique & soulful sound. Looking for a custom beat? We’ll create a new beat from scratch for you & will make unlimited revisions until you’re 100% satisfied! We’re hip hop heads. We’ve been listening to rap for our whole lives, and have a deep love for the music. The rap styles, lyrics, and instrumentals certainly have changed a lot since NaS released “Illmatic”, but the soul is still there. We're putting the soul back in hip-hop!